As General Manager of Lucasfilm, Lynwen Brennan oversees all operational matters for Lucasfilm, Industrial Light & Magic, and Skywalker Sound, as well as the development and execution of Lucasfilm’s business strategy and implementation of the company vision. 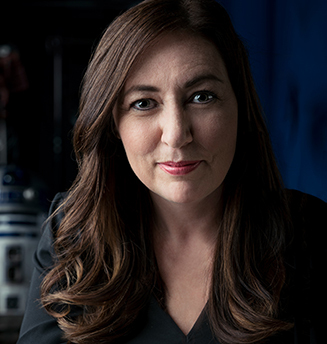 Prior to her appointment to General Manager in February 2015, Brennan served as President of ILM for seven years, where she was responsible for all production and business aspects of the company. As President of ILM, Brennan guided the company through one of its most successful periods. Under her leadership, ILM expanded its global footprint, opening offices in Vancouver, British Columbia, and London; grew its San Francisco studio; and significantly expanded its highly successful Singapore studio. Prior to her role as President of ILM, Brennan was Executive in Charge of Production at ILM, a position she held for four years. In this role, she oversaw all artistic and production talent at ILM and was responsible for ensuring that productions were efficiently staffed for on-time, on-budget delivery. She played a driving role in the company’s overall portfolio management and was a key member of ILM’s executive staff. Her career with Lucasfilm started in 1999 with her role as Technical Area Leader for the Computer Graphics Technical Directors. She was promoted a year later to Manager of Production Technical Directors, where she supervised technical directors, sequence supervisors, and assistant technical directors. In April 2002, Brennan was promoted to Director of Digital Artists, a role she held until her promotion to Executive in Charge of Production in 2006. Prior to joining Lucasfilm, Brennan had 10 years of experience in visual effects software development at companies such as Parallax Software, Avid Technology, and Alias Wavefront. Brennan holds a Bachelor of Science from the University of London.